Frank Provenzano brings a unique background in management, media and technology to the Julie Provenzano Group. Frank spent 17 years in NHL front offices where he personally negotiated over 500 player contracts. In his almost two decades in professional sports, there wasn't a management issue that Frank didn't come across, as he helped steer organizations from the depths of bankruptcy all the way to the Stanley Cup Finals. After leaving the executive suite, Frank has appeared on numerous sports media outlets such as ESPN.com, theAthletic, TSN, theFan and Sirius XM Radio. He has also been a featured speaker at various universities, has twice been a panelist at the prestigious Sloan MIT Sports Analytics Conference, has founded his own startup company, and consults for numerous sports-based technology entities. Born and raised in Canada, Frank played varsity hockey and ran varsity track at Queens University before obtaining his Masters in Business Administration from Simon Fraser University in Vancouver. An accomplished traveller and outdoor adventurer, Frank has turned his athletic attention to Obstacle Course Racing, and can often be found somewhere in the mud on Spartan races throughout Texas. 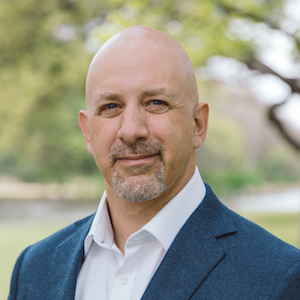 Frank is excited to bring his business and negotiating acumen to the real estate world, where he will partner with his wife Julie to lead Compass Dallas' Sports & Entertainment Division. With his background in both sports and startups, he truly fits the Julie Provenzano Group's team-based approach to servicing their clients.